But it still leaves me with some questions on the look I want for my own bed. Mix and match OR matchy-matchy? Crazy color OR white on white? Since I only have 2 Euro pillows for my bed the last one might be the winner, but clearly I'm still not sure. I get my new shams in the mail on Friday and then off they go to get monogrammed. Look out for my new bed in a couple of weeks!! How do you arrange the pillows on your bed?? 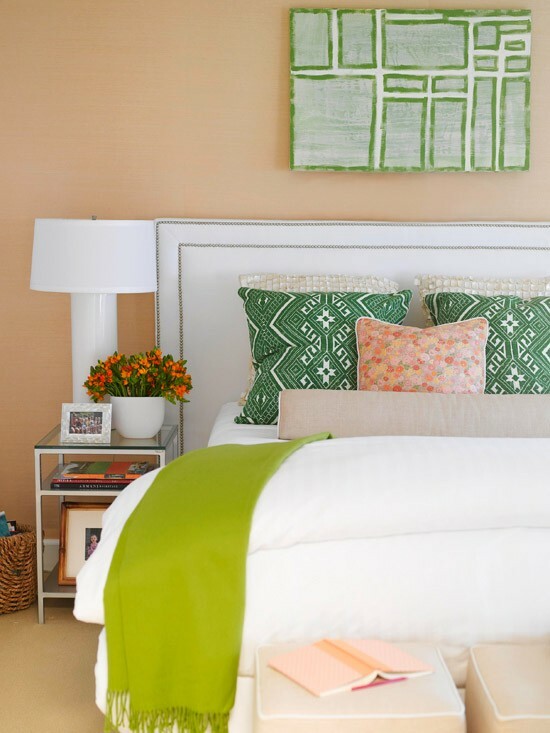 funny, my post today is about minimizing bed pillows and just using pretty standard pillow shams and pillowcases! 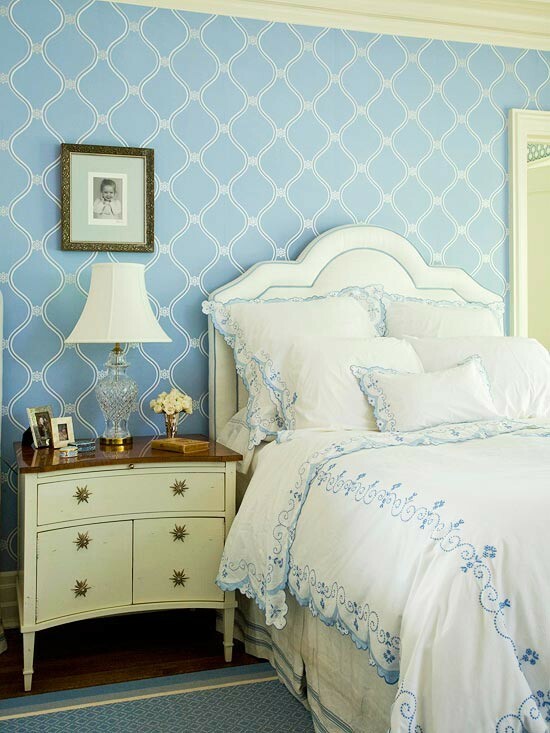 I'll be rounding up tons of great sheeting options for mix and match fun this week. check it out if you need cases for additional pillows. The pictures are very inspirational. I say there are never enough pillow on my bed. L-O-V-E 'em. I like everything but the bolster. I use bolsters for staging. The look nice but are heavy and have to be placed exactly. If there are rules on this procedure I would love to learn them. 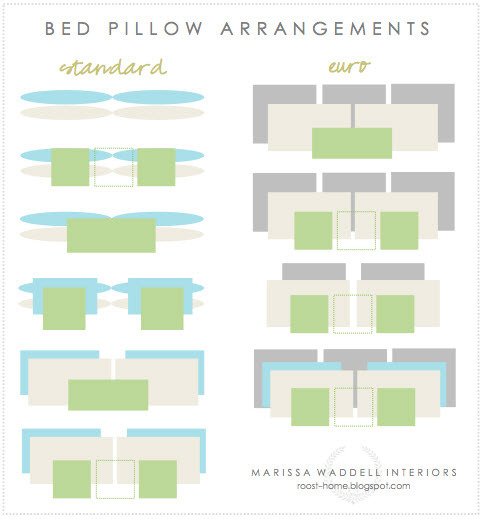 I go back and forth on how many and in what order to place the pillows. Presently, I do not have Euro size pillows to work with, although I love them. Everyday I try new "looks"! Have no favorites! Just go by the way I feel while tossing them about. 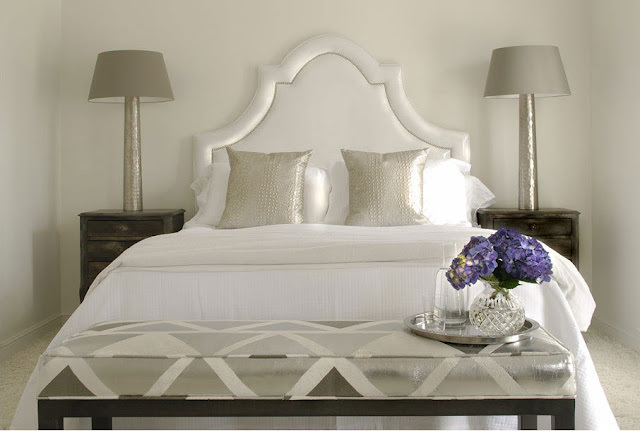 This is bedding day in blogland! 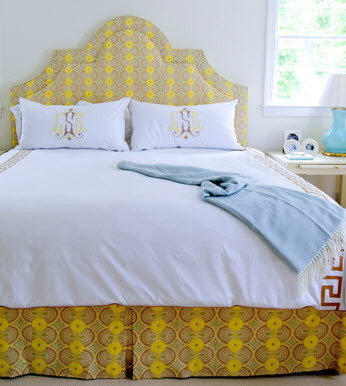 I did a post today on bedding, and was looking for a diagram like Roost did, but didn't find it. Thanks for rounding out the pillow scheme. I love a nice arrangement but not so many that the bed is covered up. I've been switching mine around in all sorts of ways recently. I'm currently on standard arrangement #3. So far I'm liking it very much. (1) I start by laying down two standard pillows in the pillowcases that we sleep on. I turn them so that the seamed edge is on the outside, so it looks tidier. 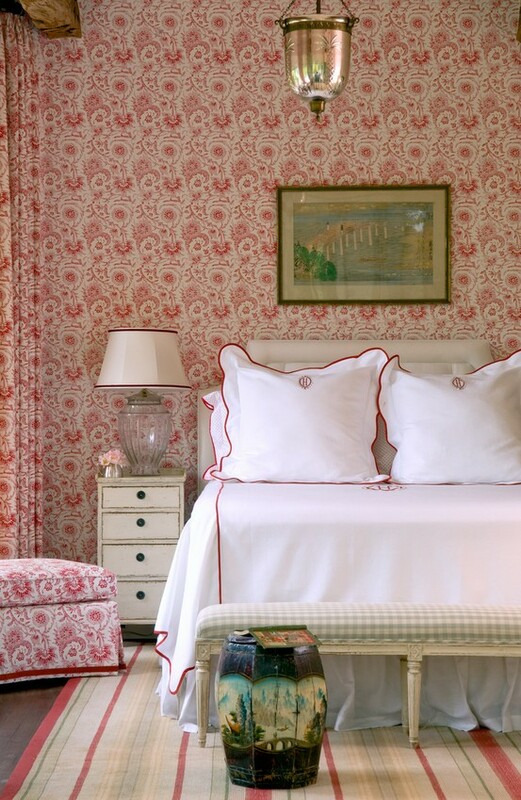 (2) I then place one standard pillow in a sham to match my duvet on top of each sleeping pillow. This covers up all of the wrinkles on the pillowcases. (3) Now I center and lean two Euro shams in a different fabric against the stack of standard pillows. (4) Finally, I place a neckroll in a different fabric in front of the two Euro shams. I like the mix of fabrics, and how tidy it looks because the pillows that are slept on are well camouflaged by the other pillows that are strictly for decoration. Oh, I need this, too!! Thanks for the inspiration images. arranging pillows is my weakest point, I never know what to do with them! This post reminds me about a scene from Along Came Polly-have you seen it? It is when Ben Stiller's character takes off about 10 throw pillows from his bed! I for one like them on the bed, my husband does not, so I have 4 pillows, just with white pillow cases, then 2 18" square throw pillows and a lumbar in front. WHen hubs gets into bed he pushes them all onto my side! love these images! 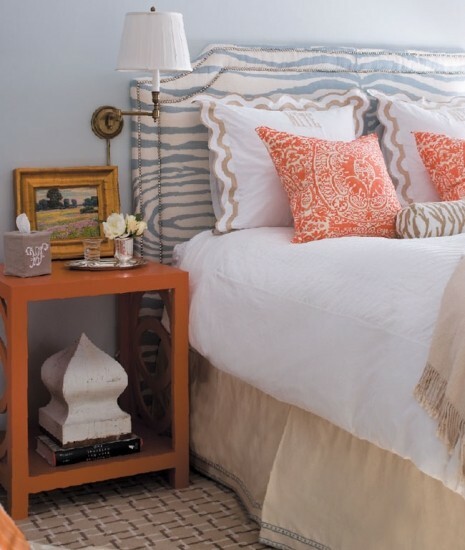 I love a fully stacked bed full of pillows and shams! Makes me want to just jump right into a bed! The last photo is my fave. I guess I prefer more MORE MORE pillows. good to know:) Can't wait to see it all finished. It's going to be amazing.